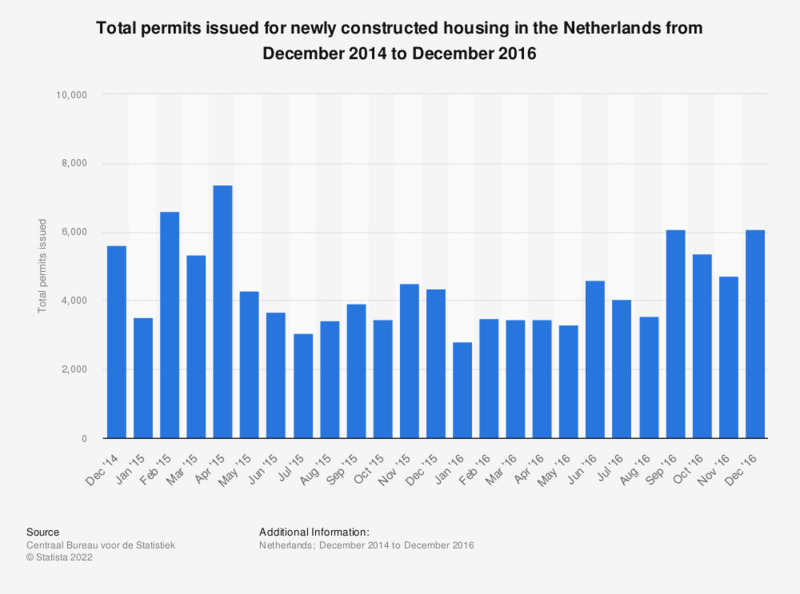 This statistic shows the total permits issued for newly constructed housing in the Netherlands from December 2014 to December 2016. In December 2014, a total of 5,616 permits were issued. One permit can be issued for one or more houses at the same time. Also, the source defines 'housing as a building that is constructed with the intention of permanent inhabitation by a private household'.